Summer is almost over, but you can still have lots of fun. This week sees the release of some pretty big games, such as the much anticipated Deus Ex: Human Revolution and the long awaited Rugby World Cup 2011. Deus Ex is a RPG game where you can level up your character and improve different stats. 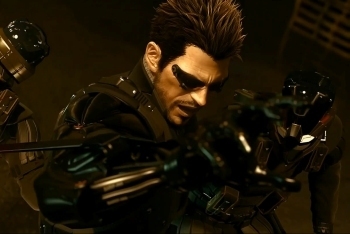 However, in this case, you play as Adam Jensen, an augmented human, who has nanotechnology installed into him to help him in combat, stealth, hacking, and more. Deus Ex: Human Revolution is a prequel to the original Deus Ex game and the storyline will lead to the formation of UNATCO from the first game. Just like the original Deus Ex game, there are lots of customizations that you can do to your character to suit your style and there are lots of decisions to make that can change the game, making it interesting to play through several times. Unlike Street Fighter II: HD Turbo Remix, this port of Street Fighter III does not feature any new gameplay art or rebalancing of the fighters. However, some artwork has been redone and you can use different graphics mode, such as smooth or crisp, to make the game presentable in HD. Online matches are available, as well as various replay sharing features including the ability to upload to YouTube. New features include the Trial Mode, where you are challenged to do things such as recreate EVO moment #37, where Diago epically parryed an entire super combo before unleashing his own super. It has been a long time since there has been a rugby game! Finally, fans will be able to pit 20 international teams against each other to see who will win the Webb Ellis Cup. You can create your own players and also enjoy four player local multiplayer or one-on-one matches online. Excited about these new releases? Let us know by leaving your comment below! Some other country - like the Faroe Islands perhaps.